The holidays camouflage the upcoming tax season which often leaves you scrambling to get everything done on time. Here are five tips to get you back on track. Write down (or take a picture of) your odometer reading on December 31st at the end of the day for any vehicle your drive for business purposes. Reconcile your bank accounts during the first week of January. Check your payroll records to confirm everything is ready for W-2s. Review your list of vendors to determine who will receive a 1099 from you. Find out which customers still owe you money from last year and start collection procedures. 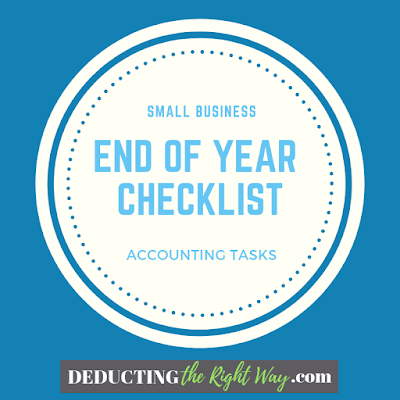 Checklists help you comply with all the small business deadlines that occur in the first few months of the New Year. 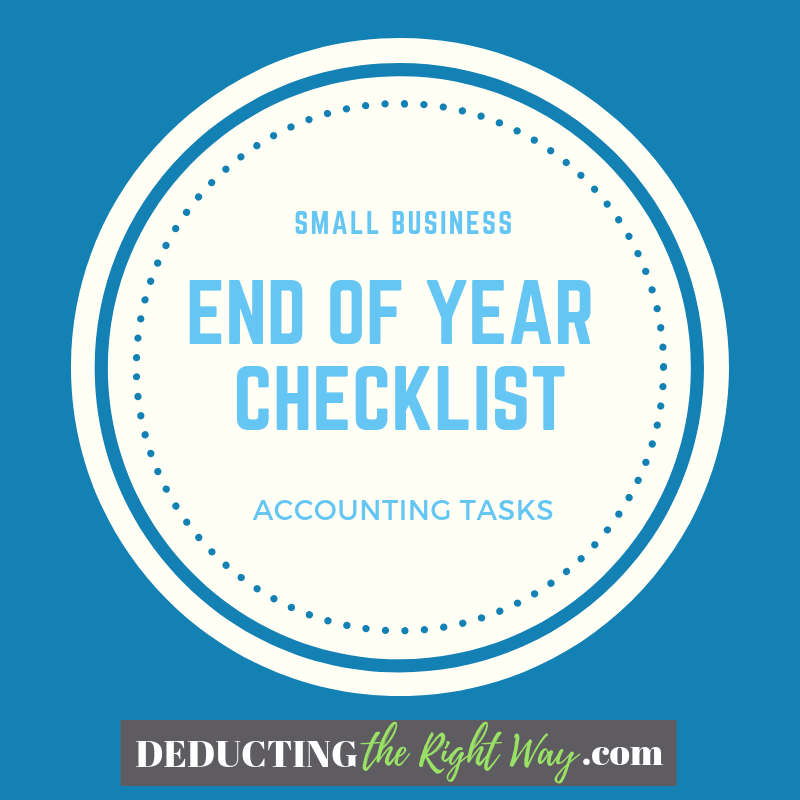 TIP: Don't be afraid to create a tax planning checklist, payroll checklist, and bookkeeping checklist.